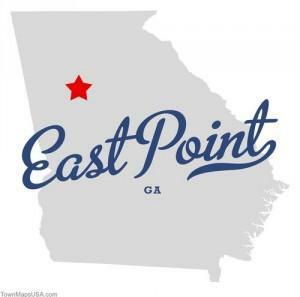 If you have sustained a severe or life-threatening injury in East Point as the result of the recklessness, negligence, or irresponsibility of another, you are likely facing mounting medical bills, a loss in income, disability, and a reduced quality of life. You may wonder how you will support your family if you are unable to return to work, or how you will afford to pay the unexpected medical costs that are incurred by your injury. The last thing you need to worry about is haggling with insurance companies who may offer you a lower settlement than what you feel you deserve. Whether you have been injured by a defective product, a dangerous medication, a slip and fall accident, or a car crash, it is important to remember that you have legal rights. While obtaining medical attention and care is critical, please reach out to Van Sant Law, as soon as possible to schedule a free consultation and discuss your case with one of our experienced personal injury attorneys. If this is the first time that you have considered pursuing a claim for compensation, the legal process can be intimidating. However, it is important to think about filing a lawsuit against those responsible for your injuries to help you to pay for your medical care, financial loss, and emotional trauma. While you always have legal rights if you have been hurt by another, you can only exercise those rights by bringing a claim against the negligent party. You may also be wary of hiring legal representation for fear that your counsel will not know how to handle your case. Van Sant Law, has fought for the rights of victims in a wide range of personal injury lawsuits, including those stemming from dog bites, wrongful death, medical malpractice, premises liability, nursing home abuse, defective products, dangerous drugs, and accidents involving semi trucks, boats, cars, and motorcycles. While you may wish to represent yourself in your personal injury lawsuit, it may be in your best interest to work with an experienced attorney who can help you to build your case and fight for the maximum compensation to which you may be entitled. Van Sant Law, is devoted to helping victims of negligence and irresponsibility, and we are able to interview witnesses, recover police reports, and arrange for medical experts to testify on your behalf to prove your case. David Van Sant spent years defending insurance companies, but he now focuses on helping victims to resume their quality of life after sustaining injuries caused by other parties. Since Van Sant has been on the other side of the law, he knows the tricks and tools that defendants often have up their sleeves. He also understands how insurance companies approach these cases, the types of cases that warrant compensation, and the applicable court procedures and laws for each specific claim. Van Sant is also involved in each and every case. When you retain Van Sant Law, to represent you in your lawsuit, you can rest assured that your case will not be thrown with hundreds of other claims and randomly worked on by whoever happens to be available. There is a statute of limitations in Georgia — a specific timeframe in which you have to file your lawsuit. If you fail to do so within this window, you may be barred from recovering damages for your injuries. David Van Sant and the personal injury attorneys at Van Sant Law, assist those who are facing the difficult challenges that often come with a severe or permanently debilitating injury. We can work with you to determine whether you are eligible to recover damages for your injuries, help you and your family to get back on your feet, and fight to ensure that you recover fair compensation for your condition. Give Van Sant Law Firm a call today to get back on the road to recovery.